The Medicare Payment Advisory Commission (MedPAC) has been discussing for well over a year how to reinvent the Medicare Access and CHIP Reauthorization Act’s (MACRA) Merit-Based Incentive Payment System (MIPS). As a result the commission intends to finalize substantial MIPS program reform recommendations in January. Though MedPAC has had good reason to question MIPS, the commission’s effort is misguided. By choosing to address MIPS, MedPAC has lost the forest for the trees. MIPS does nothing to fulfill MACRA’s intent. Title I of MACRA is intended to accelerate the Centers for Medicare and Medicaid Services’ (CMS’) efforts to move Medicare Part B providers into participation in what MACRA terms Alternative Payment Models (APMs), or more specifically advanced APMs. This goal remains in the balance. Authorized in 2015, MACRA was designed to replace the 1997 Sustainable Growth Rate (SGR) formula by moving physician practices from Fee For Service (FFS) to pay for performance arrangements, or APMs. 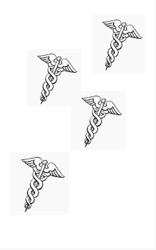 The MIPS simply replaces and consolidates three previously existing FFS payment incentive programs that date back to 2006: the Physician Quality Reporting System (PQRS); the Electronic Health Record Incentive Program (termed Meaningful Use or MU); and, the Physician Value-Based Payment Modifier program (termed VM). Under MIPS these programs were renamed respectively: quality advancing care information (ACI): and, resource use or cost. MACRA added a fourth MIPS category termed improvement activities (IA). These four MIPS components are scored independently and totaled to yield a MIPS composite performance score (CPS). The CPS determines a provider’s FFS update. MedPAC’s MIPS critique is based on both flaws the commission sees in MACRA and in how CMS is implementing the law. MedPAC detailed these concerns in their June 2017 report to Congress and again in their August 18 letter to CMS in response to the proposed 2018 MACRA rule. Despite the fact participating clinicians will report different quality measures, participants choose six quality measures out of over 250, clinicians’ will be measured against one another. Because clinicians will not be scored on the same quality measures, MedPAC argues the program cannot credibly score quality at the individual level. CMS will thereby be left unable to legitimately identify and reward high performing clinicians. In addition, CMS has chosen to gradually implement MIPS by excluding a substantial percent of Medicare Part B eligible clinicians via one of two low volume exclusion thresholds and by identifying an exceptionally low MIPS threshold score. In 2017 and 2018 CMS is excluding 40 percent of eligible clinicians (384,000 in 2017 and 540,000 in 2018). CMS is setting the MIPS CPS threshold score, the score that allows clinicians to avoid a negative MIPS payment adjustment, at three out of a possible 100 points. The 2018 CPS will be 15 points. Because MIPS is revenue neutral, negative scores offset positive scores, excluding a high number of clinicians and selecting a low threshold score collapses the distribution of all scores. This means FFS payment updates will be trivial. For the 2017 performance year, with maximum and minimum payouts set at +4 and -4 percent, CMS estimates the mean payment update in payment year 2019 will be 0.9 percent. In dollars, including $500 million in superior performance bonuses, CMS estimates the agency will pay out $699 million in positive MIPS payment adjustments in 2019. This equals one percent of total allowable Part B charges estimated at approximately $70 billion for 2017. The $699 million is even more insignificant, actually meaningless, when you realize CMS estimates the financial burden in reporting 2017 MIPS measures at $1.31 billion. CMS’ estimates for 2018 MIPS performance are no better. MedPAC’s solution is to simplify MIPS by first creating a two or three percent reimbursement withhold that would be held and used to reward superior performance. Performance would be based on a limited number of risk-adjusted patient experience, cost and population-based outcome measures. Reporting would be at the group level only. Groups could be as small as 10 clinicians. Though MedPAC terms this the Voluntary Value Program (VVP), if providers chose not to participate they would forfeit their withhold. If providers could not identify a group in which to participate CMS would provide a voluntary fall back group. MedPAC believes the VVP experience would leave providers better positioned to form or join an APM. While the proposal currently enjoys substantial commission support, a few commissioners are concerned VVP constitutes significant social engineering and lacks supportive evidence. As any competent evaluator will tell you how you define a problem determines its solution possibilities. Since MedPAC defines MACRA’s problem as MIPS, the solution is to re-invent it. Yes, the program has considerable flaws. Regardless, fixing MIPS solves the wrong problem. In seeing the forest for the trees, the right problem in need of a solution is how best to accomplish MACRA’s intent of achieving improved quality and smarter spending, or providing beneficiaries with greater value. This means improving the APM pathway such that risk bearing APM models, termed advanced APMS, are adequately designed to attract ever-increasing provider participation. The need is pressing for three reasons. First, participation in advanced APM models has to date been trivial. CMS estimates that only five percent of clinicians will be participating in an advanced APM in 2018. Second, advanced APMs have not proven successful (see the following paragraph). Third, MACRA provides a five percent bonus to incent providers to participate in an advanced APM. However, because the bonus times out in 2024, CMS should do all it can as soon as it can to attract providers to take on these contracts. This is because success takes time. The evidence shows the longer providers participate the more likely they will be successful under an APM arrangement. That MACRA’s APM models have not proven successful is well demonstrated by the Medicare Shared Savings Program (MSSP). In 2017 there were 480 MSSP Accountable Care Organizations (ACOs) caring for over nine million beneficiaries located in all 50 states. Over the program’s first four performance years, 2012-2013, 2014, 2015 and 2016, success has been at best marginal. Only 25 to 30 percent of ACOs earned shared savings in any performance year. In 2016, 134 out of 432 ACOs earned a shared savings check. Of the 432, 95 percent participated in Track 1. Not surprisingly, 119 of the 134 earning shared savings were in this track. (Six out of six Track 2 ACOs and nine out of 16 Track 3s also earned shared savings in 2016.) In context of moving providers into advanced APMs, Track 1 participation is irrelevant. As the non-risk bearing track providers in this track participate in MIPS as “MIPS APMs.” They are not eligible for the five percent bonus. Again, tenure matters, 42 percent of renewing 2012-2013 ACOs earned savings compared to 18 percent of class 2016 ACOs. Beyond a 30 percent success rate, total savings equaled just 0.9 percent of total spending or $700 million in savings over $80 billion in spending. Savings was also highly concentrated. The 15 highest performing ACOs earned over 14 times what the 15 lowest performing achievers, or $265 million compared to $20 million in shared savings. As in previous years, there was no correlation between earning shared savings and quality performance. In fact, those earning shared savings had a mean quality score that was worse than the mean score for the worst performing ACOs based on spending. Those earning shared savings did so largely because their reconciled financial benchmark was significantly higher, 10 percent in 2016, than all other ACOs. MSSP results are even more sobering if, as some analysts calculate, money spent above or beyond the benchmark are subtracted from program savings or money saved below the benchmark. If results calculated this way, the program actually loses money. Lack of MSSP performance success has not surprisingly caused widespread stakeholder criticism. For example, in a lengthy October white paper titled titled, “Why Value-Based Payment Isn’t Working,” Harold Miller, CEO of the Center for Healthcare Quality and Payment Reform and Physician-Focused Payment Model Technical Advisory Committee (PTAC) member, argued ACOs and other APMs do not assure patients receive the appropriate care because many high value services are uncompensated. Six of the advanced APMs are limited to FFS reimbursement. The two other, the Comprehensive Primary Care Plus (CPC+) and Oncology Care Model (OCM), do provide upfront payments designed to counter FFS barriers. Two related APM concerns are worth noting. After excluding the Track 2 and 3 MSSP ACOs, the remaining advanced APMs are six, time-limited and small-scale Center for Medicare and Medicaid Innovation (CMMI) demonstrations. The two largest, CPC+ and the Next Generation ACO demonstration, currently provide care for just 2.25 million beneficiaries. CMS has also not introduced a single new APM this year. CMS has instead canceled a Part B drug demonstration, a cardiac care bundle demonstration, scaled back the Comprehensive Care for Joint Replacement (CJR) demonstration and rejected for testing the first two PTAC-recommended APMs. This past September CMS released a Request for Information (RFI) soliciting stakeholders to comment on developing, the agency termed, a “new direction” for the Center for Medicare and Medicaid Innovation (CMMI). Since, again, the current list of APMs are poorly performing and are moreover small-scale demonstrations, creating a “new direction” for CMMI appears necessary. Of the eight focus areas CMS identified in the RFI, CMS appears primarily interested in identifying “expanded opportunities for participation in Advanced APMs.” Here are four categorical recommendations to improve the advanced APMs. First and foremost, like all of healthcare, Medicare has a value problem. This means the agency does not measure for results. Like MACRA’s four proposed and final rules and the agency’s 2016 Quality Measurement Development Plan, the CMMI RFI only casually mentions value. For example, the RFI simply states the need to “align payments with value” and that benefit design be sufficiently flexible “to incentivize beneficiaries to choose high-value services.” CMS needs to define value in a meaningful way. This means working intentionally to improve program value by incenting delivery performance that improves value defined as, Michael Porter has argued over the past decade, outcomes achieved relative to spending. Again, there is currently no correlation between quality performance and earned shared savings under the MSSP. Similarly, CMS’ Hospital Value-Based Purchasing program (VBP), financially rewards low spending hospitals that are also low quality (and recent research shows may as well be exacerbating disparities). The MIPS program also does not measure for value. One earns a MIPS cost score independent of quality performance. In announcing in late October the agency’s “Meaningful Measures” initiative, CMS Administrator Seema Verma admitted “how we define value and quality today is a problem” because it is not clear measures we use today are, she said, “improving patient outcomes.” This is largely because the agency and its partners have failed to create an ample number of outcome measures. What poses for quality measurement is effectively instead process compliance. As a recent World Economic Forum report noted, only seven percent of the nearly 2,000 quality indicators in the Agency for Healthcare Research and Quality’s (AHRQ’s) National Quality Measures Clearinghouse are outcome measures. Going forward, the agency, Verma stated, “aims to focus on outcome-based measures.” An obvious path forward is for CMS to work with the International Consortium for Health Outcomes Measurement (ICHOM). The consortium, that recently attracted 600 health care professionals from 30 countries to a Washington, D.C. conference, currently has 22 standard outcome measure sets the consortium estimates covers 50 percent of the global disease burden. CMS and the National Quality Forum are well aware of ICHOM’s work and recognize the fact the agency can do more to collaborate internationally in the development, use and reporting of outcome-based measures. That this past January ICHOM and the OECD signed a letter of intent to collaborate on the collection, analysis and publishing of patient outcomes should encourage CMS to exploit ICHOM’s work. Despite the current number of Track 1 participants, the MSSP is CMS’ flagship advanced APM simply by the fact it is the agency’s only advanced APM that is a program, not a demonstration. MACRA’s success depends on the MSSP’s success and to date that success has again been marginal at best. In 2009 the Congressional Budget Office (CBO) scored the MSSP saving $4.9 billion through 2019. Based on a recent DHHS Office of the Inspector General’s report and CMS reported 2016 performance, it appears the MSSP will not meet this projection. Through their first four performance years, MSSP ACOs have saved approximately one-third of this amount or $1.7 billion. Keep in mind the Medicare program in sum spends over $680 billion annually. Despite the fact CMS has made program changes via two rule makings subsequent to establishing the program in 2011, makes annual MSSP improvements through the Physician Fee Schedule and has created two ACO demonstrations, the Next Generation and the Track 1+ model, substantial criticism of the program persists. Long time health care reform advocate, Kip Sullivan, for example, has written several essays for The Health Care Blog (TCHB) panning the program. Among other criticisms Sullivan and others have noted are problems with beneficiary assignment, how financial benchmarks are established, updated and reset, the lack of a financial upside for superior quality performance and payment waivers, limitations on risk adjusting continuously assigned beneficiaries and data timeliness issues. CMS is betting the agency’s latest ACO demonstration, Track 1+, which begins in 2018, will substantially increase both MSSP and advanced APM participation. The Track 1+ demonstration includes several stakeholder-favored provisions, including prospective beneficiary assignment, lower financial risk and a choice of symmetrical minimum savings and loss ratios. Though financial risk is considerably lower under the 1+ demonstration, participants will be eligible for the five percent advanced APM bonus. Along with a second round of the CPC+ demonstration participation, CMS optimistically projects upwards of 250,000 providers will move from MIPS to the APM pathway in 2018. Despite improvements via 1+, ACOs, whether program or demonstration ACOs, still suffer from the fact that ACO providers, ironically, have a limited ability to be accountable. There is little that is “advanced” about the ACO payment model. ACOs are designed to reduce FFS spending and not to achieve optimal outcomes or value. It would be a misnomer to label the program a pay for value model. As such, ACOs, unlike for example Oregon’s Coordinated Care Organizations (CCOs), are not reimbursed for high value non-clinical social services and supports. This is problematic because what disproportionally drives Medicare spending is not the number of chronic, medical conditions a beneficiary suffers but the combination of chronic conditions and functional status limitations. As Komisar and Feder showed in a 2011 Georgetown report the 15 percent of Medicare beneficiaries with chronic conditions and functional status limitations account for one-third of Medicare spending while, for example, the 48 percent of beneficiaries with three or more chronic conditions and no functional status limitations accounted for 51 percent of spending. Chronically ill beneficiaries with functional limitations are twice as expensive as those with three or more chronic conditions and four times as expensive as those with one to two chronic conditions. If ACOs are to be accountable, if they are to be legitimately defined as an “advanced payment model,” they need to have the flexibility to provide non-medical long term services and supports. If ACOs are to succeed they need to be designed comparable to Medicare Advantage (MA) plans that offer supplemental benefits. If MA plans are, as AHIP wrote in its RFI comment letter, reducing hospital readmissions and post-acute care admissions because they offer additional or comprehensive benefits such as oral health care, it is impossible to understand why the MSSP is not designed to do the same. As in the MSSP, bundled payment arrangements are incented to pay for performing below a FFS financial benchmark. They too are not designed to optimize value. This point aside, bundle payments in context create a list of problems. In its August proposed MACRA rule comment letter, MedPAC repeated the common concern that episode based bundled payments provide “no incentive for controlling the number of episodes.” Episode based bundles run the risk of driving up utilization particularly for preference sensitive conditions such as non-fracture hip and knee replacement CJR surgeries. “Episode models,” MedPAC stated further, “could undercut more comprehensive models, such as two-sided ACOs.” Relative to the MSSP and CPC+, the BPCI and CJR demonstrations are redundant and consequently antagonistic. ACOs are already responsible for both Part A and B spending. As currently designed bundles can negatively impact MSSP benchmarks and present ACOs with lost opportunity costs. The presence of a bundles market also creates for the MSSP patient engagement, care coordination and quality performance challenges. It also presents challenges in apportioning savings when a bundled payment beneficiary also is assigned to an ACO. In theory the remedy is gain sharing. In practice it remains a theory. This is why after reviewing the proposed CJR rule in 2015 the ACO community argued their assigned beneficiaries be excluded from the CJR demonstration. CMS partially recognized the problem when the agency decided this past summer to exclude Track 3 and Next Generation ACO beneficiaries along with the End Stage Renal Disease (ESRD) demonstration beneficiaries from the CJR demonstration. The question is not identifying whether, as the Harvard Business Review debated in 2016, capitated payment in some form or bundled payments is superior. The question is how to knit together or align bundled payment arrangements with comprehensive care models. Bundling payments for full episodes of care accomplishes this. For example, the Netherlands has been doing full episode bundles successfully for several years. In 2007 the country introduced a year long diabetes bundle and has since expanded to include chronic obstructive pulmonary disease (COPD), vascular risk management and pregnancy and childbirth. Germany’s sick funds negotiate for bundles or integrated care contracts, Canada’s Quality Based Procedures (QBPs) manage high prevalent chronic conditions and as the name suggests, Medicare’s Program of All-Inclusive Care for the Elderly (PACE) program is a bundle payment program. Full episode bundles present at least three advantages. CMS’ current bundles are designed to provide downstream care. A BPCI bundled episode begins when a beneficiary is, for example, hospitalized for an acute myocardial infarction or stroke. Full episode bundles provide upstream care. They are designed to both prevent or reduce hospitalizations and specialist care and incent care coordination, not fragment care. Integrating full episode bundles with the MSSP could encourage more providers and provider types to participate in the program because they would be able to gradually build risk-bearing competence via care for a sub-population of ACO beneficiaries. In turn, this would encourage greater participation in ACO tracks defined as advanced APMs. In CMS’ RFI the agency states an interest in innovating MA to “achieve better outcomes” and to enable beneficiaries “to choose high-value services.” The agency has already taken two steps in this direction. Under the final 2018 MACRA rule, CMS promised a demonstration that will test allowing MA providers to qualify as an advanced APM in 2018 by counting only MA reimbursement or MA beneficiary lives. More recently, CMS announced the agency was expanding in 2019 its MA Value Based Insurance Design (VBID) demonstration to include 25 states. Currently nine plans in three states are participating. CMS also will allow plans to identify VBID enrollees, or decide what chronic conditions about which the plan wants to focus. Demonstrations aside, like bundles, integrating MA in the APM pathway has a confounding effect. MA plans defined as an “other payer” that either help qualify or directly qualify providers for an advanced APM bonus implies they share similar or comparable characteristics to other advanced APM programs. The only other advanced APM program is the MSSP. Its design is distinctly different than MA. For example, MA and the MSSP use different quality measure sets. Awarding advanced APM bonuses to providers participating in non-comparable models presents the same problem MedPAC recognized in scoring MIPS clinicians. This is particularly true when the advanced APM bonus is paid independently of whether providers succeed under a MA, ACO or other advanced APM. As argued in a December 2015 and a June 2017 Health Affairs blog post, CMS should work to, using MedPAC’s word, “synchronize” MA and the MSSP. Beyond using and scoring quality measure sets differently, among other issues beneficiary participation in these programs is determined differently, MA and the MSSP use different financial benchmark methodologies, MA, again, frequently offers supplemental benefits along with Part D drug coverage and beneficiary risk adjustment differs between the two programs. Much like the problem rewarding and/or sharing savings when an ACO assigned beneficiary is also in a bundled payment, CMS has yet to explain how to account for or pay an MA plan the year after some or all of their providers earns a five percent advanced APM bonus. The CMS RFI in sum solicits stakeholders to help CMS create a “new direction” for Medicare that empowers beneficiary choice by creating more competition in a market where spending and value increasingly equate. As noted above, one way to achieve these goals is to make comparable or more uniform MA and MSSP. They are not comparable in that MA is distinctly superior. Leveling the playing field would present at least four opportunities. Chances for MSSP ACO success improve. More ACOs earning more shared savings means greater participation and more willingness to take on an advanced APM contract. If MA plans had to compete against ACOs, they would be more motivated to financially incent their providers. MA providers would then have the opportunity to participate under MACRA as an advanced APM. Assuming CMS makes benefit design and pricing more transparent, one of the RFI’s six guiding principles, competition means beneficiary premiums would decrease. In sum, Medicare would finally become a synergistic, coherent program or one greater than the sum if its parts. One way to understand MACRA is as a program exhibiting the related problems of regulatory capture and rent seeking behavior, problems certainly not unknown to Medicare. By eliminating 40 percent of eligible clinicians from participating in MIPS, CMS forbids them from competing for an annual FFS update that increases to nine percent beginning in 2021. CMS has also captured the remaining MIPS participants because their update will be meaningless when weighed against the rent or financial burden associated with participation. When you factor in how MIPS is scored, neither the program, nor its participants, will extract value. Absent competition or creating value or new wealth, what regulatory capture and rents do, it is difficult if not impossible to understand why many if not most MIPS stakeholder groups continue to lobby for delaying full MIPS implementation. The solution may be, as MedPAC believes, to reinvent the program though doing so may have the unintended negative consequence of undermining MACRA’s intent of driving providers into APMs. Nevertheless, fixing MIPS, assuming a productive fix exists, may be moot. In 2019, capturing the five percent bonus before it times out may motivate a meaningful number of other payers to modify their products to satisfy the definition of an advanced APM. This would create a win-win. Other payers and providers would escape having to participate under a CMS designed APM and the agency would invite, not forbid, competition. The authors’ views are solely their own. Readers and commenters here may enjoy this snip I got from C-SPAN of the late Ewe Reinhardt. This is not good for our brains to try to understand all this stuff. Besides, the principal pathology in American health care is third party payers. But thank you for putting all the acronyms and the bureaucracy of modern health policy in one readable location. And we appreciate your hard work.